Kanye and North West slept off during a shopping trip with John Legend and Chrissy Teigen. Kim shares the adorable photo. So today we went baby shopping with @johnlegend & @chrissyteigen Kanye & North were a little too quiet. 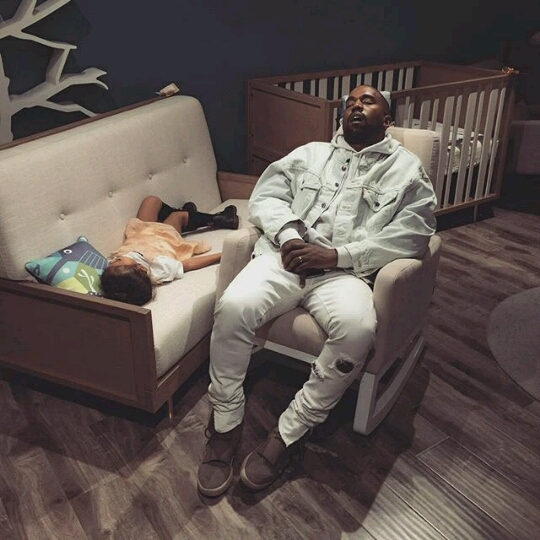 We found them passed out in the middle of the store ������ #TheRealLifeOfPablo"